Jamaican Prime Minister Andrew Holness greets incoming President of the Caribbean Court of Justice, Justice Adrian Saunders during the Swearing-In Ceremony in Montego Bay. 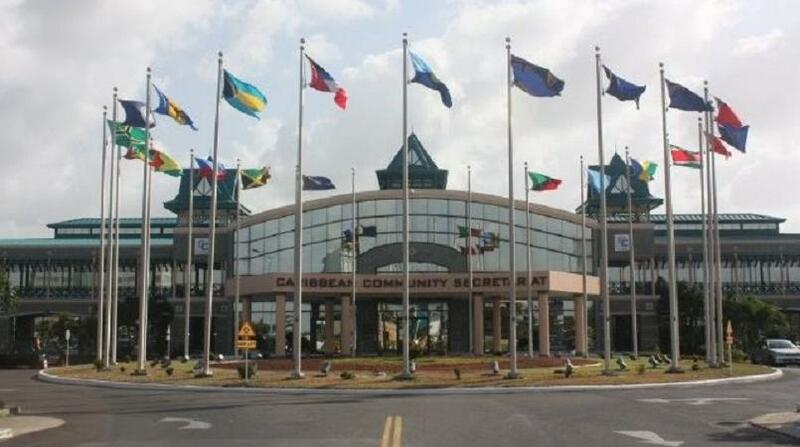 Jamaican Prime Minister Andrew Holness says the Caribbean Court of Justice is integral to the effective functioning of the Caribbean Community (CARICOM). 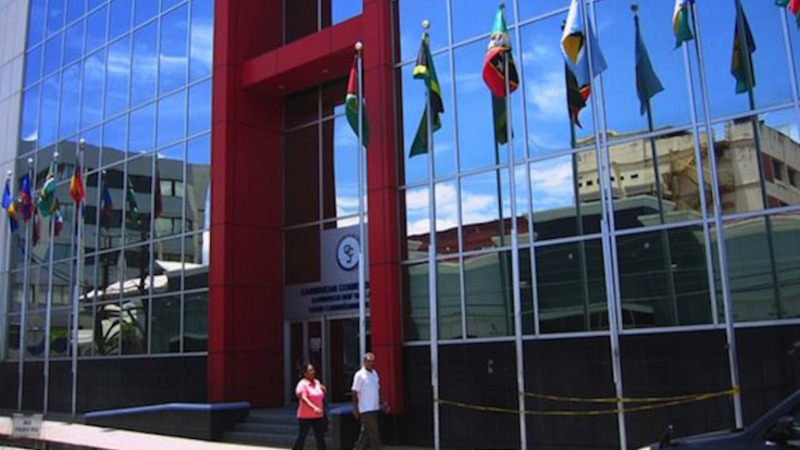 “A well - functioning Caribbean Court of Justice, CCJ, is vital to creating and maintaining a regional community which works for all its members and for all its peoples,” said Holness, who assumed the chairmanship of CARICOM on July 1. 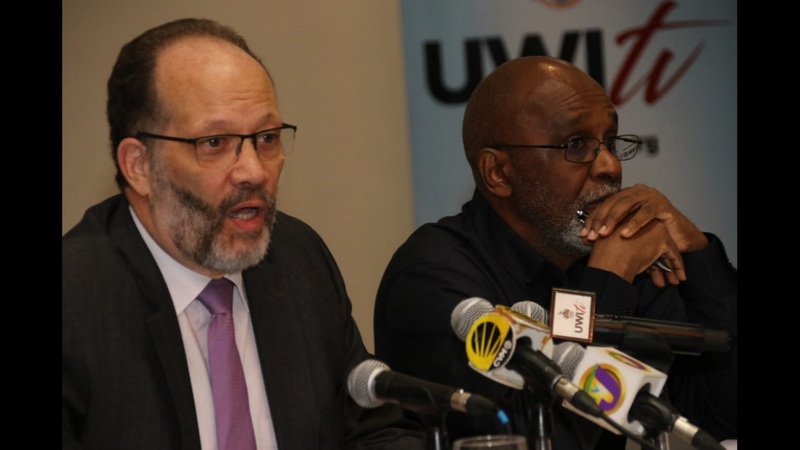 He was speaking Wednesday in Montego Bay during the Swearing-In Ceremony of Justice Adrian Saunders as President of the Caribbean Court of Justice. Holness said Justice Saunders is assuming responsibility for a body that is integral to the effective functioning of CARICOM. “The Court’s judgments have a direct impact on the lives of the Caribbean people. Landmark decisions like the Shanique Myrie judgment are testament to the outstanding, invaluable role of the Court in ensuring that each person enjoys the right to participate and contribute to the community and to share in its benefits”, explained the Prime Minister. He added that through its impartial and just application of the law, the CCJ has earned and maintained the confidence of the public. Justice Saunders assumes Presidency of the CCJ following the departure of Sir Dennis Byron, who served for seven years. Justice Saunders is a native of St Vincent and the Grenadines. He holds a Bachelor of Laws degree from the University of the West Indies (Cave Hill) and a Legal Education Certificate from the Hugh Wooding Law School in Trinidad and Tobago. In 2005, Justice Saunders was among the first cohort of Judges to join the Caribbean Court of Justice bench. 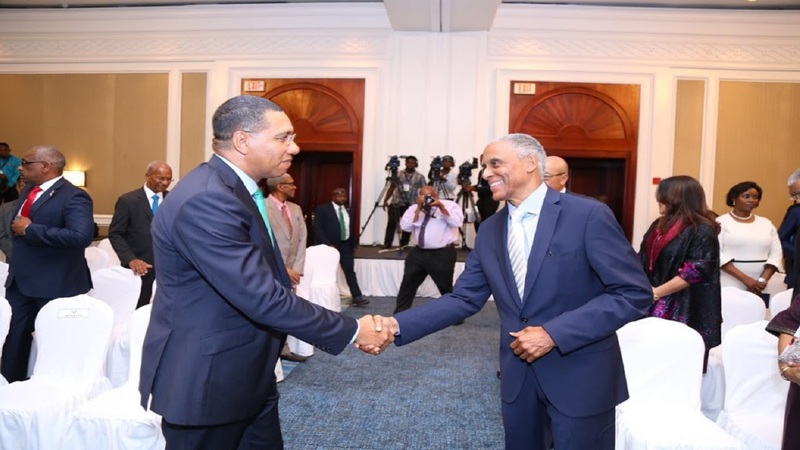 In the meantime, Prime Minister Holness also expressed gratitude toSir Dennis Byron, for the manner in which he executed his functions as President of the Court. “During your tenure, you presided with distinction over several landmark decisions of the Court, sitting in both its appellate and original jurisdictions. The Court has undoubtedly benefitted greatly from your many years of domestic, regional and international experience. Under your leadership, the Court has expanded its judicial role in several key areas," Holness stated.